There’s no telling when Major League Baseball hitters or pitchers will find their groove. It may happen after years of filling in as a bench player or during a sophomore campaign that improves upon a promising rookie season. In any event, players hope they can bottle that lightning and make it last for years. It’s easier said than done in baseball. The 2014 MLB season has featured breakout campaigns from career minor leaguers and veterans with 15 years of service alike. Here are the five players who have improved the most through the first quarter of the season. After the 2013 Kevin Youkilis debacle and the disappointing return and suspension of Alex Rodriguez, the Yankees searched for answers at third base. It turns out they may have had the best option toiling away on the AAA Round Rock Express. That’s where 27-year-old Yangervis Solarte had been playing for two years after a lengthy run in the Twins minor league system. In 2014, Solarte impressed the Yankees in spring training and hit his way onto the 25-man roster when the team broke camp. He’s not going back to the minors. As of May 15, Solarte is leading not just the Yankees but the entire American League with a .336 batting average. Despite the presence of many high-priced sluggers in the New York lineup, Solarte leads the team in RBI (23), on-base percentage (.414), runs scored (23), and slugging (.521). He’s come from nowhere to the big stage in the Bronx and now leads the Yankees in every offensive category except home runs through the first quarter of 2014. To show his knack for defense, he also started a triple play in an April game in Tampa Bay. Yasiel Puig exploded onto the scene in 2013 with an offensive onslaught and untamed athleticism in the outfield. 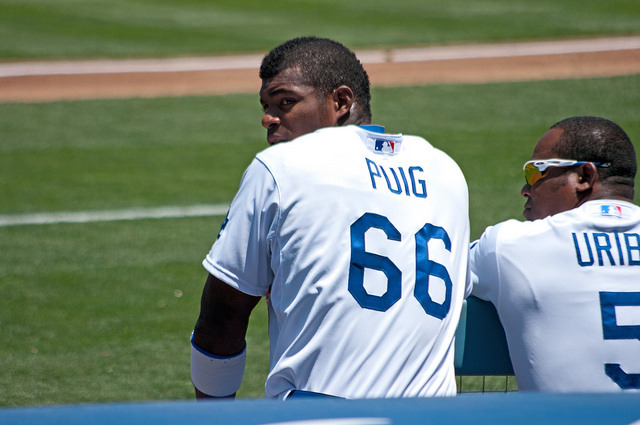 The numbers were great, but it didn’t take long before his manager, teammates, and players around the league began experiencing the syndrome known as “Puig fatigue.” Puig’s mistakes often involved the use of excessive force when throwing the ball from the outfield or running the bases. Cutoff men were missed; embarrassing, rally-killing outs were made. In 2014, the Puig 2.0 update has included improvements on his elite-level stats along with a huge uptick in baseball IQ. On a team of patient, professional hitters, Puig is leading the Dodgers with an OPB of .416, 31 RBI, and a .324 batting average. He has been hitting over .400 in the month of May and has walked more than any other Dodger through the first quarter of the 2014 season. Puig has gone from wild talent to MVP candidate in less than a year. 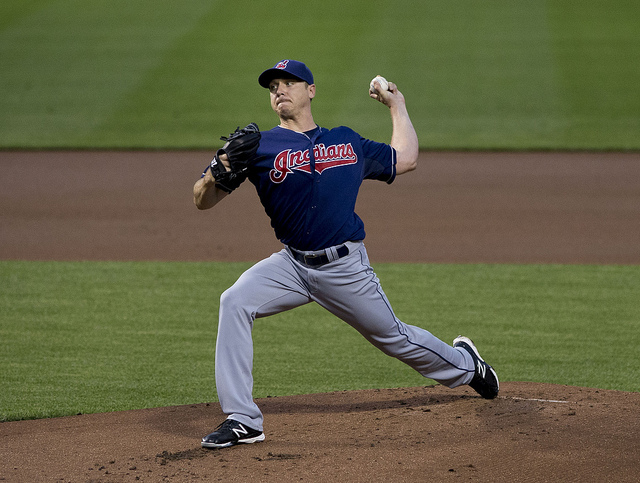 After his MLB career fell off the rails in 2010, Scott Kazmir tried to regain control of his stuff pitching for the Angels and Indians. In 2013, he found equilibrium in winning 10 games for Cleveland, but in 2014 he’s returned to the dominant form that once made him a star for Tampa Bay. Pitching for Oakland, Kazmir is 5-1 with a 2.28 ERA in 51.1 innings over eight starts for the Swingin’ A’s. Along with Jesse Chavez and Sonny Gray, Kazmir has solidified a rotation that appeared devastated by injuries to A.J. Griffin and Jarrod Parker. The A’s now have a pitching staff that leads the league in ERA while the team sits comfortably in first place with a +71 run differential. Kazmir’s effectiveness has a lot to do with it. MLB hitters believe they have hit their stride when they provide consistency in production. Rather than delivering spurts of offense, the best in baseball find ways to impact the game (and the stat sheet) on a daily basis. It appears Giancarlo Stanton (he was once known as “Mike”) has found the answer in his fifth season for Florida. Stanton is leading the National League in home runs (11) and RBI (43) through the first quarter of the season. On top of the power numbers, Stanton is posting career highs in batting average (.325), slugging (.611), and on-base percentage (.411). 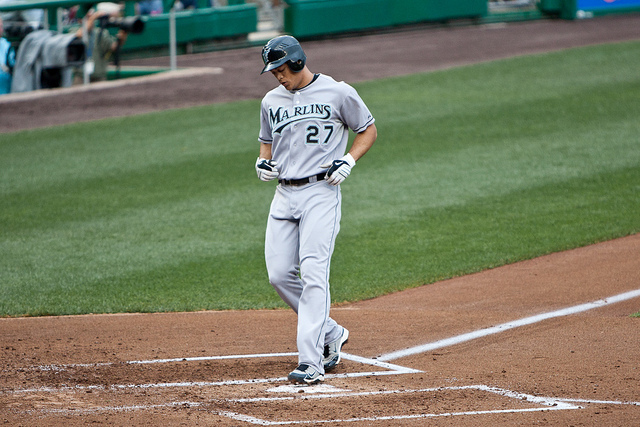 If this torrid pace continues, 2014 will remembered as the year Stanton became an elite offensive player. Mark Buehrle has been an innings-eating, effective pitcher for 15 years, but he’s rarely dominated on the level he’s hit in 2014. Through his first eight starts, Buehrle is 7-1 with an AL-best 2.04 ERA. No one has more wins than Buehrle does in all of baseball, which is remarkable for the fact that he has gotten a decision in every start. He’s on pace for a 28-win season at this point in time. 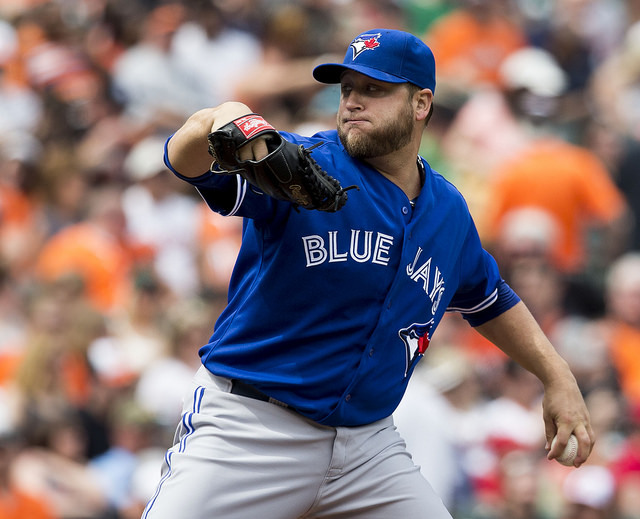 Rather than expecting Buehrle to win so many games, which requires luck and help from the bullpen, the Blue Jays are hoping he can continue being stingy with runs allowed. Buehrle has never posted an ERA below 3.12 in his long career, and through the first quarter of the season he is allowing one earned run less than that career best. What is the most impressive stat on Buehrle’s bubble gum card? Through 53 innings, the lefty has allowed just one home run. Considering he pitches in hitter-friendly Rogers Centre and averages over 20 homers a year (50 over the past two seasons), Buehrle is on pace for a career year in nearly every category.